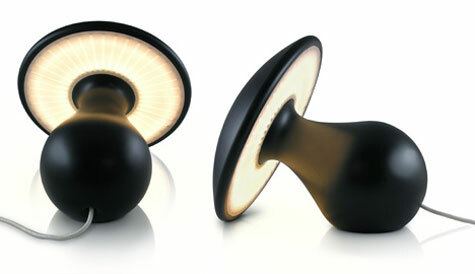 Simon Duff’s Mushroom floor lamp provides a sense of magical wonder in an otherwise ordinary living space. The Australian designer forwent psychedelic swirls and Grateful Dead bears for tastefully realistic form and color treatment. Mushrooms, illuminated by interchangeable and adjustable LEDs embedded in their gills, can be placed as single units or in clusters for a more fungified effect.